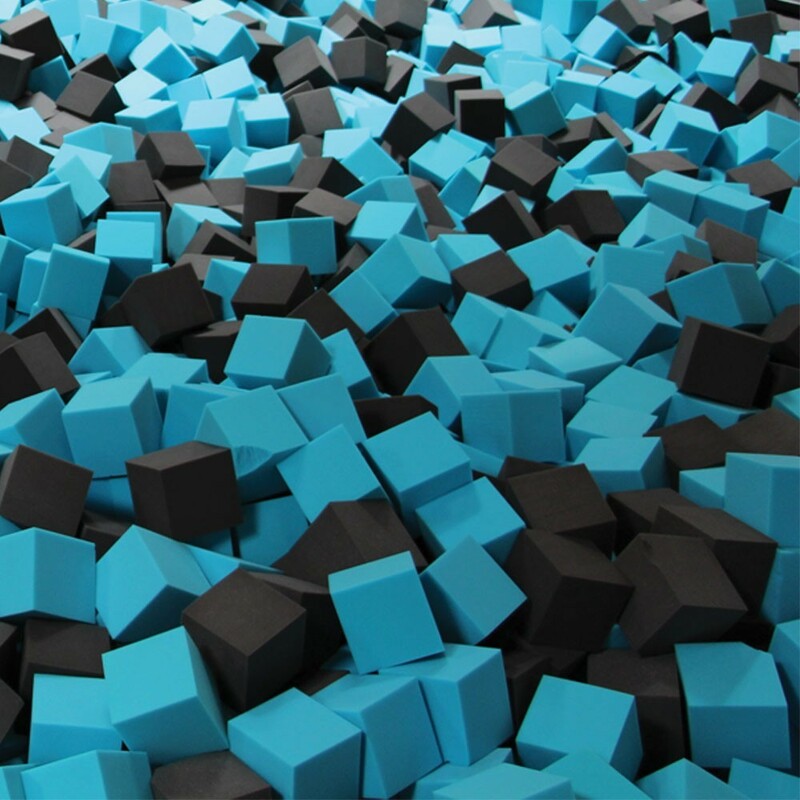 You want to install a block foam pit in your trampoline park or in a leisure centre? 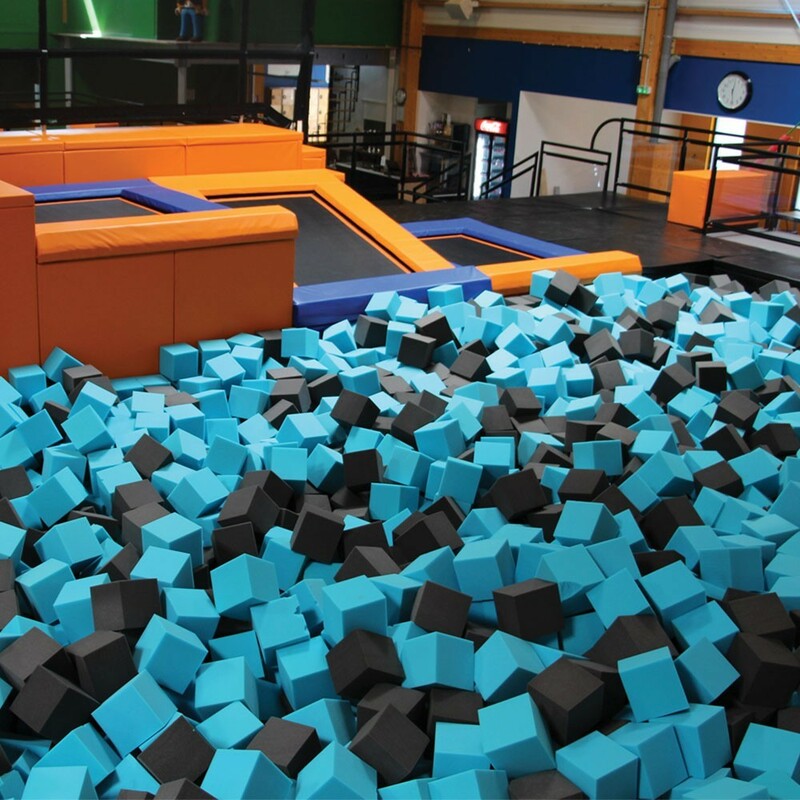 France Trampoline offers these foam blocks perfectly adapted to a professional use. -Available in 7 colours you can choose a colour combination that is best for you. Make use of the colour diagram in the photo. - The cubes measure 20 x 20 cm insuring the user a soft safe landing. -Tough and resistant with a 30 kg/m3 density allowing for intensive usage. There are already lots of leisure professionals who are already using them in foam pits and soft play areas. The dense foam is made to last and will not degenerate over time however many safe landings are absorbed.